Sunday night's shooting spree in Las Vegas was so meticulously planned that the gunman set up cameras in and around his luxury hotel room, the Clark County sheriff's office said Tuesday. The apparent attempts at surveillance by the gunman, whom authorities have identified as Stephen Paddock, were part of extensive preparations that included stockpiling nearly two dozen guns in his room before opening fire on the concert below, said police. The cameras included one in the peephole and two in the hallway, according to Clark County Undersheriff Kevin McMahill. “I anticipate he was looking for anybody coming to take him into custody,” said Sheriff Joe Lombardo who also expressed frustration that no one appeared to have noticed the gunman's unusual actions and alerted authorities. The carnage was "obviously premeditated," he added at news conference Tuesday afternoon. "The fact that he had the type of weaponry and the amount of weaponry in that [hotel] room — it was pre-planned extensively," said Lombardo. 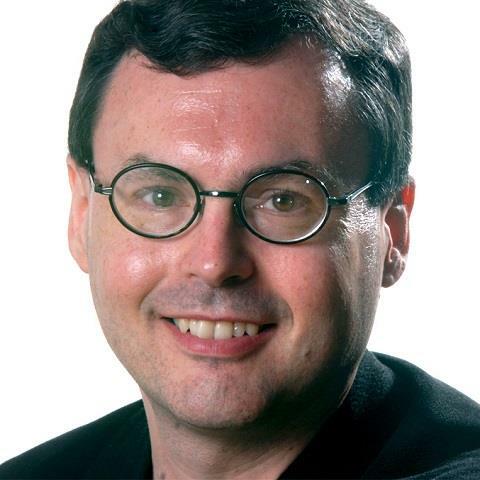 "I'm pretty sure he evaluated everything that he did in his actions." He called that "troublesome," saying it was likely that somebody noticed something suspicious about Paddock's behavior at Mandalay Bay Resort and Casino but didn't say anything. Police "can't be at all places at all times," Lombardo said, so it's vital that when anybody sees anything suspicious, he or she should alert authorities. "We act on that," he said. "Quite often, what we experience in our line of work [is] a citizen thinks it's trivial and they say, 'Nah, I don't want to bother the police.' We ask you to bother the police." Lombardo also sharply criticized the publication by a German tabloid of photos of Paddock's hotel room, where he'd been staying since last Thursday, and the corridor outside it. 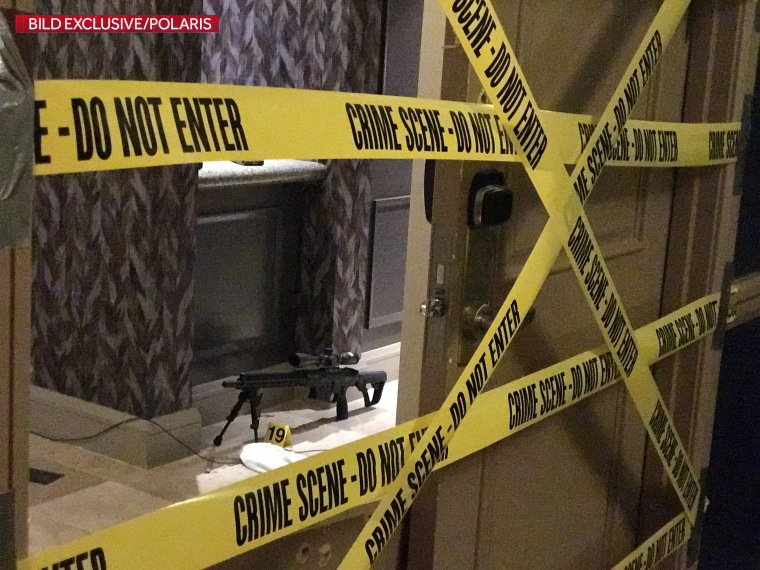 The photos show crime scene tape crisscrossing the room's bullet-pocked door, as well as a gun with a scope and what appears to be a room service table. No other weapons are visible in the photos. Clark County Undersheriff Kevin McMahill confirmed Tuesday night that the photos were authentic. Lombardo made it clear that he was deeply distressed by their publication. "I can tell you I'm very troubled by it," he said. "We have an internal investigation going as we speak as to how those photographs were obtained." Paddock is believed to have been responsible for the deaths of 58 people when he opened fire on a country music concert outside his hotel room on Sunday night. Lombardo said Tuesday that all but three of the victims have been identified, and authorities said the widely reported number of 59 deaths included the gunman. Jill Snyder, special agent-in-charge of the San Francisco office of the federal Bureau of Alcohol, Tobacco, Firearms and Explosives, said Tuesday night that 47 shotguns, rifle and pistols had been recovered from three locations — Paddock's hotel suite and his home in Mesquite, Nevada, as well as "Verdi." The reference to "Verdi" wasn't explained, but authorities had said earlier that they'd executed search warrants on the hotel room, the Mesquite home and a residence near Reno, Nevada. Deputy Reno Police Chief Thomas Robinson confirmed to NBC affiliate KRNV that police and FBI agents spent most of Monday at an address in Verdi, part of metropolitan Reno. Property records show the address belongs to Paddock and Marilou Danley, whom authorities have identified as Paddock's roommate.